Throughout the Scriptures, both Old and New Testament, the seas and oceans represented Chaos and wickedness. 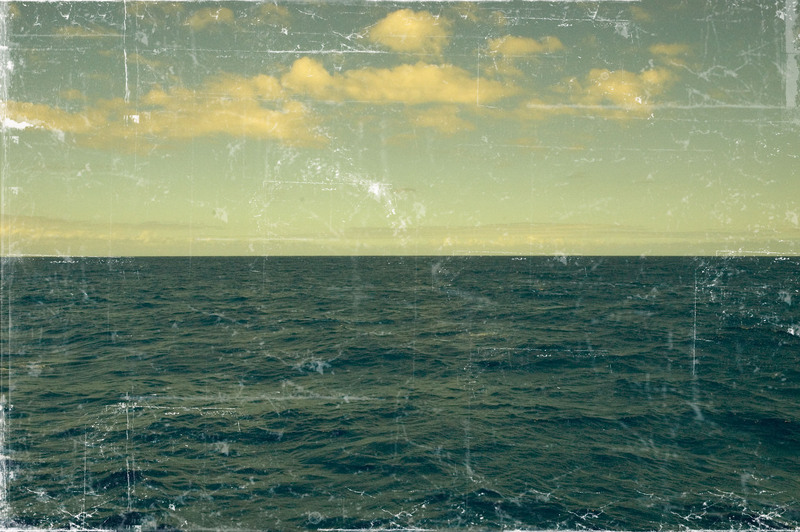 These large and deep bodies of water are host to the mighty unknown, and reckless and destructive power. Even in our modern age our titian vessels and ports cannot withstand the devastating power of the seas. Only God has the power to control the mighty seas. God separated the waters of the Red Sea, and closed them on the invading army. and when Jesus calmed the storm that was about to swallow the disciples as they were on the water, this was the major turning point for them to recognize Jesus as God. God spends 3 days ordering and separating the waters in Genesis chapter 1. *It is interesting to note that God is never recorded created the waters. The waters are just there, just as evil is there in the Garden of Eden to tempt mankind after creation. The waters represent chaos. However, God does not remove the chaos, but he organizes and separates it, causing good to rise from it. Like all things evil seeks to destroy God can use to form life. Jesus claimed “I am the resurrection and the life,” a claim the God of the Old testament establishes on many occasions. God gives life to the barren womb of many, and springs of living water in the midst of the desert.. Furthermore, it seems like from the beginning God did not intend to destroy the chaos, but to order it. To me this parallels God’s allowance for man to choose evil that was provided in creation. Although evil was not God’s intention for man. Then at the time when mankind’s choice for chaos and wickedness had almost overwhelmed his love for God, God released the waters of chaos unto the earth to cleansed it and humanity. God used the very representation of the thing man was seeking for in place of God to bring his judgment. The flood also used to foreshadow the coming judgment fallen humanity will face before the Holy God in 2 Peter. However, when all is said and done. Once evil is finally destroyed. The waters of chaos will also be done away with. How could God allow evil to exist? Not your typical answer! Refer to these two posts for a background of this argument, and the traditional Christian responses. In this entire conversion, a distinction must be made between Pre-Fall World and Post-Fall. Mankind, and the created universe was completely changed Post-Fall. So we are only speaking of what we hypothetical know of the Pre-Fall universe. Furthermore, we are only looking at mankind, and not angels or demons. It can be seen that Satan was operating with evil intentions before man, however, the universe only seemed cataclysmicly effect when mankind chose evil. 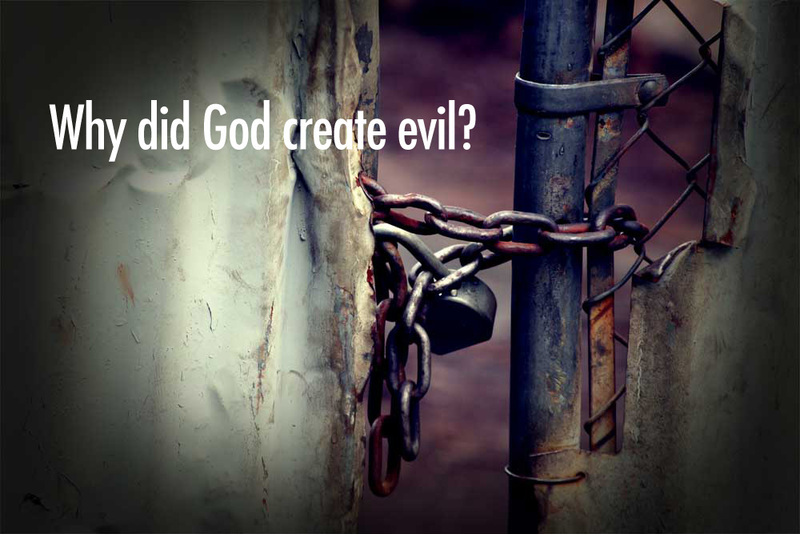 Option A: God did not create evil… or did he? The same logic that says if you chose not to make a choice means you still made a choice, also means by the mere fact that God did stop the option for evil to exist, although he did not create evil man did when he disobeyed God’s order and design for creation, means that God is still the hidden creator of evil. For example if a biologist created a bacteria with the ability to both help and harm, is he not still the creator of the harm, although he intended only to help? Even if you argue that evil is not a created “thing” with the previously outlined logic God still created the man with the capacity to “do” evil. Therefore, he is still the creator of evil, because he could have created man without the possibility to “do” evil. Conclusion to option A: it seems the answer to this question of why God allows evil to exist is more related why does he allows good to exist. Man ability for evil is the same in his relation to do “good”(pre-Fall). So it seems that God allowed evil to exist in the hope that the good would triumph over evil. So it seems to match up with the narrative of the Bible, that evil is an option, but with the intervention of God evil is crushed. Why did God create evil only if he planned on destroying it? Does evil need to exist for good to exist? The Bible does not explain the origin of evil, but rather only the origin of evil within the created world. And since evil is not a thing, just as love is not a thing, both are wills and intentions of the heart/mind; they are ways to use things, rather than things themselves; then God merely made man with the capacity to operate on either the network of love, or on the network of evil. We were in one sense beings with free roam capabilities. However, God is a being that exclusively works on the network of love, and although he intended us to function lovingly, man does not always do so. Therefore, the question as to why does God allow evil to exists is unanswerable with the information given. The question and focus becomes not where did evil come from or why is it here? But on how does God intend us to live. This also coincides with the narrative of the Bible, which is that God steps into creation to redeem creation so it has the power to resist evil. If evil is not a “thing” can it even be created? And if it cannot be created has it then always existed, and apart from God? God never intended man to understand “good” and “evil.” It was the forbidden fruit. God only intended us to operate on the network of love, and man in his first act of evil sought to understand both “good” and “evil.” After eating our eyes were open to what evil is. If this is true, then it presents another serious question. Man’s first act of evil/sin proceeded his understanding of what evil really was. Therefore evil must have existed before man sinned, and the fruit of the tree only represented man falling victim to penalty of that understanding… judgment. Before the fall, the question of evil is irrelevant. For man righteousness and judgment was only based on one rule, “do not eat of the tree of the knowledge of good and evil.” If man obeyed righteousness was obtained. Therefore, the question of How does God allow evil to exist is not a question at all. The reality is that the more we know about evil and good, right and wrong, the more we become accountable for those actions. The more evil a man does with understanding the more judgment he comes under. So with this, it is understood that God is both bothered with evil, as he punished it, and with our understanding of it because the more we know the guiltier we become and the more evil we seem to do. In the end the answer to the original question is unanswerable, but to say that God does not like evil, that is why he punishes it, and that he never intended us to know evil and therefore its hurts and pains. As to the origin of evil or why God allows evil to exist, it is beyond our understanding. What is known is that God never wanted mankind to experience or participate in it. Maybe it had always existed? It could be said that because evil or love is not a created “thing”… it has always and always will exist as an option, because as it is not a “thing” only an intention, so as long as that intention is a possibility, “evil” will exist. Before creation there was only God. God is love, in Him there is no evil. Therefore evil was not presently visible. But when the created world was formed, evil was given a facility to operate and became a present visible reality. Both evil and love are only “made” or become visible and real when when someone chooses them (for example man). If in my life I never chose to love… this does not mean love did or does not exist, just that I never chose it. This same principle applies to evil. Before the creation evil was not seen because God never operated with evil intentions. But after man was formed evil is made visible because man chose to operate in evil. So the question of who created evil is the same question as to who created the ability to be generous, rude, kind, or mean. These are not “things” they are ways to use and treat things/others so before there was things and others, none of these characteristics were possible, for there was only God. The created world only gave these non”things” a platform to operate within. However, this then presents another serious objection for option B. If the created world opened a “Pandora’s box” of evil. Then why did God create at all? If the created universe was only going to give a pathway for evil to be made visible why make it? Maybe… it was worth creating because God wanted to make a community, who like the triune God, could live and share love. Maybe… in love God created so that others could experience love, but first they would have to reject evil. Maybe, this is why God was willing to send his own son into the world so man could be redeemed from evil and the Holy Spirit could be with us, empowering us, de so that we could live in communities of love. Conclusion for option B: God wanted others to experience the love in community only the godhead had experienced up to that point. So he created the universe in love, which gave pathway for evil. Then it was either let evil destroy creation or step into creation to rescue and redeem it? The Biblical account testifies God chose the ladder option, and by stepping into creation God defeated evil and prepared the way that we could once again live in a community of love.